Hi Frecklebox.com readers, welcome to the world of Simon+Kabuki. We hope you enjoy our guest post! Warm weather birthdays are the best. Period. Outdoor parties are my first choice for a wound up group of kids. They have space to expend their energy and messes can be hosed down. And the theme potential is enormous (I love a good theme party): Baby Animals complete with petting zoo, Garden Party– each party goer gets to plant a little flower in a cute little pot that he/she painted, Woodland Fairies with magic wands, or Sports Camp. It’s all good. Custom invites are all the rage! I love this custom invite, it’s adorable and affordable at InvitationBox.com. 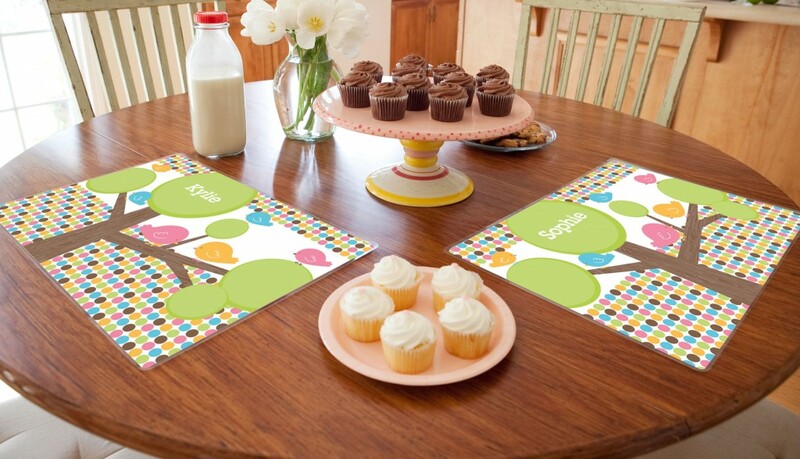 And for party favors I would pre-order personalized placemats from Frecklebox.com, they double as decorations! Personalized placemats make a great keepsake! And because anything with a bird on it is instantly loved by all (watch this hysterical video to see what I mean– Put a Bird On It.) 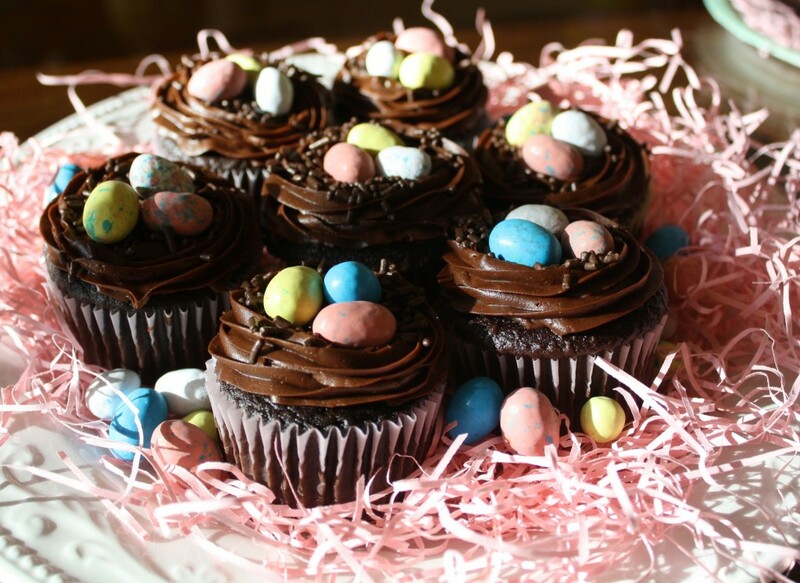 I’d continue the theme from my placemats to little nest cupcakes. Easy to make, easier to eat. Every great kid party has great kid activities. Just a couple though, I’ve seen uber-moms overdo the projects and the kids get all loaded on sugar and can’t sit still long enough to participate. Or they really just want to play and said uber-mom is now screaming “Sit down and have fun with your damn project! Now!” So my rockin’ Garden Party would include one game that involves big muscle movement, like a nature lover scavenger hunt. They might have to find a leaf, a bug, a long stick and a rock that looks like a heart. Or if they are older you could hide fun things in the yard for them to find, like an Easter Egg Hunt. For the sitting down activity, I’d have them paint a little terra cotta pot and plant a flower in it. It could take 10 minutes or an hour (for the budding designers) and it doesn’t involve more sugar consumption. For more design inspiration, check out our blog atwww.simonandkabuki.com/designerdroppings. We are designer moms, and we are on a mission to take over the world and make it cute!